It is hoped that members of GuyCoN will continue to grow. If you are working on conservation or related issues in Guyana, please get in touch to be added to the site. This will therefore serve to enhance communication between conservation workers in Guyana. Raquel is the Director of Resource Management and Training at the Iwokrama International Centre for Rainforest Conservation and Development, a position she has held since 2005. She has extensive experience in tropical forest ecology in Guyana, and previously worked for the Guyana Forestry Commission. Samantha has been living and working with communities in the North Rupununi for more than 10 years. A librarian by profession, she has been exploring avenues for education and learning through inquiry with the Junior Wildlife Clubs of the North Rupununi and has been responsible for managing and developing Iwokrama’s community outreach and support to clubs. She believes that local knowledge combined with science are great tools for locally owned resource management and she is also involved in community monitoring and research initiatives. Canadian Guyanese, she lives in Kwatamang Village in the North Rupununi. Lakeram states his career goal is “to continue to study the forest and savannah ecosystems and work with Amerindian people to promote conservation and sustainable development. This would help us move towards locally owned and managed sustainable resource use in the North Rupununi and Guyana as a whole”. 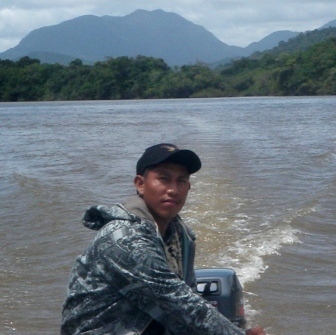 Lake was as an Iwokrama Ranger from 2000 to 2006 and has since been working as a community researcher in the North Rupununi with the North Rupununi District Development Board (NRDDB). He was part of the Darwin Initiative wetlands research team, has co-managed Forest Impact Monitoring at Iwokrama, and has been involved in community based natural resource management with a focus on fisheries management. Currently, he is the manager of the COBRA Project (projectcobra.org), a community owned project which is documenting community practices for adaptive management and best practices for sustainable natural resource use in South America. 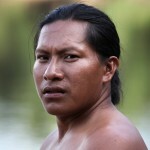 Lake is passionate about his Makushi and Wapishana heritage as well the rich natural resources of his homeland; his work experience and traditional foundation provide a strong base for continued leadership in the area of community based natural resource management in the North Rupununi. Richardson is from Kwatamang Village, in the North Rupununi, and is currently the fisheries project officer for the North Rupununi District Development Board. Richardson is a fluent Makushi speaker and has spent almost half of his life involved in the field work, starting out when he was a youth with the Kwatamang Junior Wildlife Club. He studied Natural Resource Management at the Bina Hill Institute for Learning in the Rupununi and his research experience includes bird and bat netting for Iwokrama’s Forest Impact Monitoring, amphibian research and guiding with Iwokrama. He has also has experience implementing fresh water turtle surveys in Rewa, conducting social surveys in communities, in video production and event management and implementation. He also has experience implementing social surveys in communities and has created a video which showcases the research outcomes. His field skills, local knowledge and desire to continue growing in the field of natural resource management make him a strong community researcher. 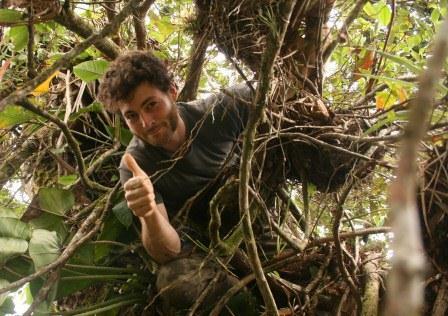 Jake is a conservation biologist with a special interest in neotropical forest conservation and development, particularly in Guyana. 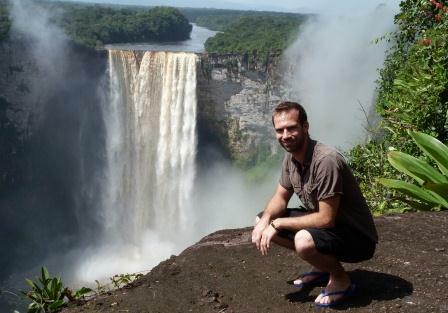 Jake has been working in Guyana since 2003, primarily in the Iwokrama Forest and North Rupununi. 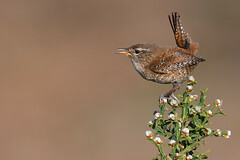 Jake is based at the Durrell Institute of Conservation and Ecology (DICE), University of Kent, UK. Roxroy has extensive experience in GIS technologies in Guyana, in particular at the Iwokrama International Centre for Rainforest Conservation and Development, and Global Canopy Programme, CMRV Project. 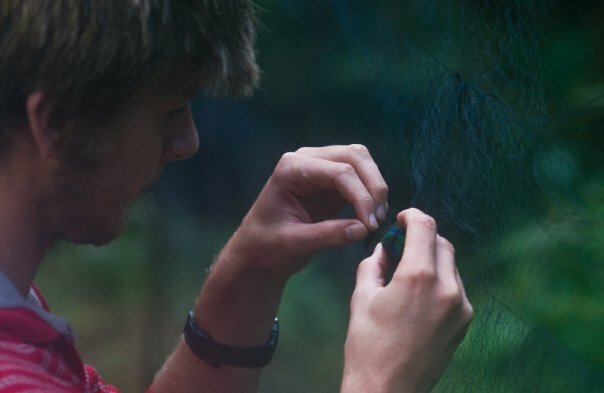 Rob has broad research interests among which include understanding the evolution of patterns of diversity in the tropics, and the use of molecular techniques in guiding conservation effort with a particular focus on carnivores. He gained his PhD at the Zoological Society of London and the Durrell Institute of Conservation and Ecology, University of Kent where he investigated the genetic diversity and evolutionary history of the enigmatic giant otter and has been involved in surveying biodiversity in Bolivia, Guyana and Mongolia. 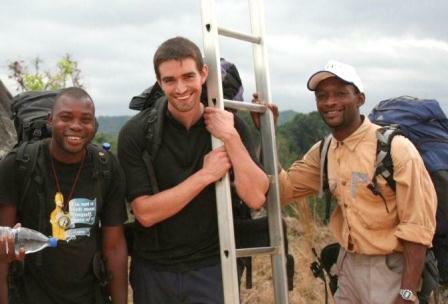 Rob is currently based at Trent University in Canada, and working with Panthera on Tiger conservation in Indonesia. Niall is a conservation biologist with a focus on large mammal science. He has studied the conservation and genetics of Baird’s tapir in Honduras, and has joined expeditions to Guyana exploring the Rewa head. 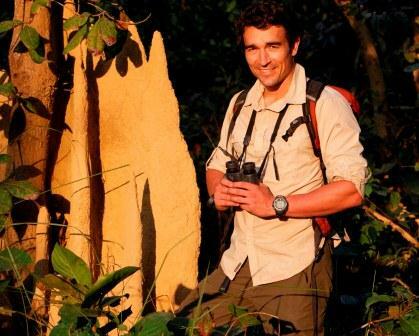 Alongside his work as a zoologist, Niall is a television professional and has made programmes for PBS, History Channel, Animal Planet Canada and the Discovery Channel. Niall is a Fellow of the Royal Geographical Society and sits on the Genetics Committee of the IUCN Tapir Specialist Group. Niall’s research interests are in the use of biodiversity research to impact policy on protected area management, in exploratory biodiversity surveying, and in promotion of environmental issues through the use of mass-media. Niall is based at Cardiff University, UK. Mark is a conservation ecologist, specializing in ecological modelling. Mark’s research interests focus on spatial modelling of field and remotely-sensed data to inform biodiversity and conservation management. He has worked in several neotropical countries and is currently based at BirdLife International, focusing on modelling seabird distributions to identify global marine protected areas. Andrew’s research focuses on the patterns of diversity across the Guiana Shield. 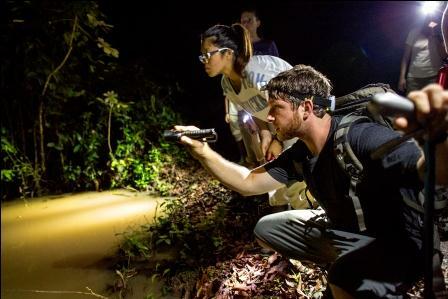 He is using molecular techniques to examine the genetic diversity and evolutionary history of the reptiles and amphibians throughout Guyana. His main focus in the Kanuku Mountains of Guyana and how their isolation from the rest of the Guiana highlands has affected this history. Andrew is also a passionate photographer and journalist, utilizing his camera as a tool to aid to in conservation efforts by bringing awareness with his photographs. He is currently based at the University of Mississippi. Matt’s research interests include community-based conservation, applied ecology and participatory science. He is passionate about both research and education and has spent time in both fields – working as an educator at zoos and aquariums in the U.S., as adjunct faculty for university-level field courses and contributing to research projects in Chicago, Kenya, South Africa, Malaysian Borneo and Guyana. Matt is based at Miami University’s Institute for the Environment and Sustainability in Ohio, where his research is focused on the abundance and spatial distribution of jaguars in the Kanuku Mountains, Guyana. Evi studied biology, and is particularly interested in challenges posed by the interaction between conservation and socio-economic development. She completed her undergraduate in Belgium with a research project on rodent-borne diseases in Tanzania, and obtained her Ph.D. from Auburn University (USA) on lizard ecology in Costa Rica. Furthering her dedication to conservation, she co-founded the education and awareness program ‘AU Tigers4Tigers’, and was active in the Society for Conservation Biology. 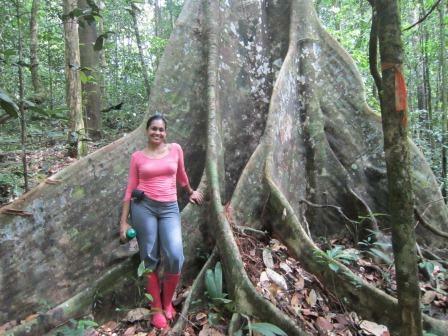 In 2011, Evi came to Guyana to study jaguars as part of Panthera’s International Jaguar Program. She now resides in Guyana to develop the program, working with communities, government and NGOs to nurture co-existence between people and wildlife, and ensure a long-term future for jaguars. Murray’s research interests are in environmental economics and conservation biology. He is based at the Institute of Zoology and London School of Economics, and is currently focusing on tropical forest carbon and biodiversity mapping in Sumatra, Indonesia. Cynthia’s research is focused on freshwater systems where rates of species decline exceed that of terrestrial systems. 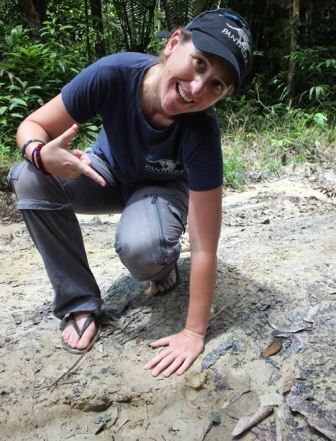 She is particularly interested in the ecology of Neotropical fishes and endeavors to conduct research that helps guide management and conservation of native fishes and their habitat. 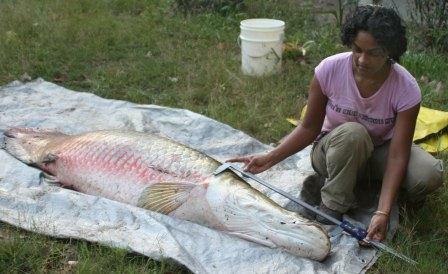 Much of her past research has been focused on the giant arapaima – one of the most heavily exploited and threatened freshwater fishes in Guyana and the Amazon basin. Cynthia’s work on arapaima includes age and growth studies, population genetics, and feeding ecology. She has also conducted research on mercury contamination of fishes and humans in mining communities in Guyana. Jay’s research is on sustainable natural resource management using a hybrid, interdisciplinary systems science approach. 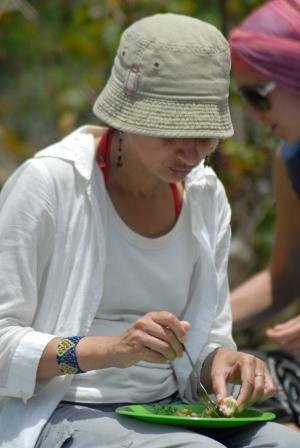 Her work has a particular emphasis in supporting indigenous communities in participatory action research and she has been using a range of techniques, including biophysical monitoring and participatory video to help local communities manage natural resources. Jay has worked in Guyana since 1999 through a range of funded projects included the Darwin Initiative Wetlands Project: (http://darwin.defra.gov.uk/project/12019), and currently the EU COBRA Project: (www.projectcobra.org). She works in the Geography Department at Royal Holloway University of London. Jess is a PhD student based at DICE, University of Kent, studying social attitudes and perceptions of urban biodiversity in Georgetown. Jess is interested in interdisciplinary methods in conservation, and has also worked on such projects in the US Virgin Islands and Madagascar. Lesley is a conservation biologist with a focus on freshwater fishes. She has been working in Guyana since 2003, primarily in the Rupununi region. Her doctoral studies focused on the connection between the Amazon and Essequibo Rivers via the Rupununi wetlands and the influence on fish. Subsequent to this work Lesley began a three-year study tracking the movement patterns of arapaima (Arapaima arapaima) in the Rewa River drainage by using radio telemetry. Long-term tracking of arapaima is ongoing by mark and recapture of individuals using pit tags. 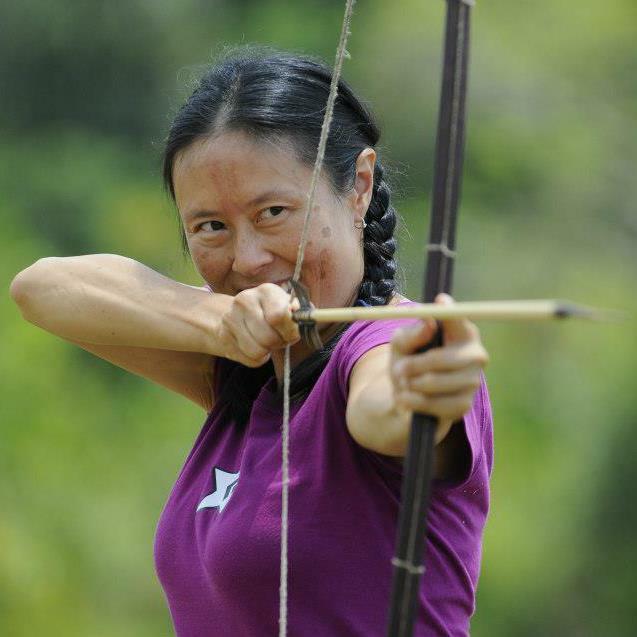 She has been most profoundly impacted by working closely with the Macushi and Wapishana people of the Rupununi, which has led her focus on research projects with potential benefits for both fragile ecosystems and threatened human cultures. Lesley is based at the Field Museum of Natural History in Chicago, IL USA. Cooper is an ecologist and conservation biologist who studies the effects of hunting and logging on tropical forest plant-animal interactions, with the goal of informing conservation and sustainable timber management. He has conducted research across the tropics – including Central and South America, Central Africa, and Southeast Asia – but has a particular passion for Guyana. He first visited Guyana in 2007 as a WorldTeach Teacher at Kwakwani Secondary School, Region 10, and has kept coming back ever since. 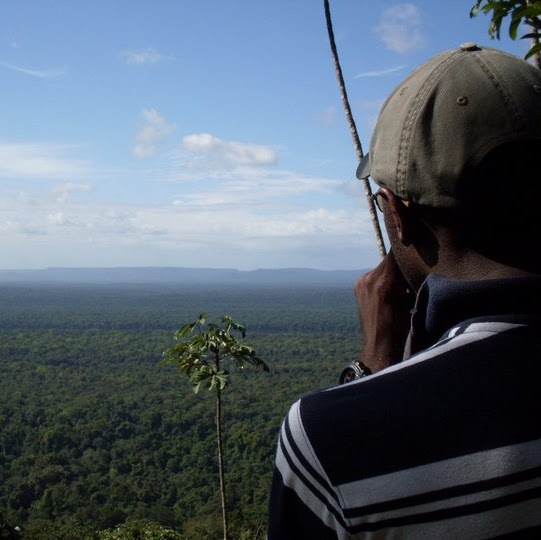 Manager of Field Projects, Amazon Conservation Team – Suriname.